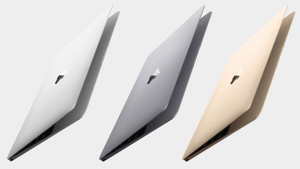 There’s a lot that’s really cool about Apple’s MacBook. But the coolest thing about it, for VO talent that will use these laptops, seems to be pretty boring to most people. Apple’s not even touting it – you have to look in the fine print to find it. But trust me – it defines coolness, both figuratively and literally, because it’s so useful. Yes, it weighs just 2 pounds. Yes, it’s only 13 mm thin. Yes, it’s got a 16×10 Retina display and edge-to-edge screen that lets you see more of your script and Audacity window more clearly. Yes, the keys are nearly 20% larger. Yes, the keyboard is 40% thinner. Yes, the battery lasts up to 9 hours, and the Intel chip that powers it does so at only 5 watts. And yes, it comes in silver, rose gold and space gray. Let’s face it: none of that will make you a better VO talent. Yep. No fan. Which means no fan noise. Ever. 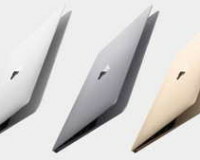 It uses a “chimney” system to channel heat up and out of the MacBook, from the body to the screen. Which means, you don’t have to take a break when your Mac heats up and the fan kicks in. Because it has no fan. Which, by definition, is coolness. Note that I specify here the MacBook, not the MacBook Pro or the MacBook Air or any other model than the plain and simple MacBook. The new MacBook. Check it out here. Auditioning: Do I Say The Other Character’s Lines? So…What Is Your “Big” Why? Fanless is win. USB-C? Lose. How does Core M stack up to i5? I have a MacBook Pro with no fan that I got over a year ago. It’s got no moving parts inside so it doesn’t need a fan, at least that’s how it was explained to me when I bought it. I use an external drive when I need to use a cd or DVD, which isn’t very often. Love it. Glad to know it’s going to work so well for VO’s. No, you were misled. The MacBook Pros have fans. And it’s not moving parts that need cooling – it’s the chipset, which has no moving parts. The Mac Pro does have a fan, just a quiet one. I still wouldn’t put one in the booth with me. Also, I’m less put off by the type of USB (which is practically unique) but the fact that there is only one so. While it is great there’s no fan you better keep that battery charged in between sessions because the computer gets its power from that one, lone USB port as well. …or you could buy an Intel NUC for $300 less and spend that money on marketing your voiceover business. Don’t be swayed by the latest and greatest from Apple just because its the latest and greatest. As an Apple-phile I concur, Sir David! No fan is fab and imperative for we VO folk. I cut my hardware costs in 1/2 every time, but buying a 1-2 yr old computer (or iPhone) via Craigslist. swoop when you find it. This is awesome. Because I plan to leave my day job within the next year or so (and consequently will have to turn in my MacBook Air), I’ll definitely buy one of these for my VO career. In the meantime, I can usually silence the fan pretty quickly by going to my Activity Monitor in my Utilities Folder of my Apps, finding the culprit that’s making my MacBook overheat, and then closing the offending program. Usually my fan subsides right away! Thought I’d share that nugget. All you Macbook haters: While the upfront cost of a Mac may be expensive, I can tell you the long run costs are nil. 1) I don’t have to pay for virus software. 2) If I have a question or need help, I get a PERSON on the phone in less than 5 minutes. AND they call me. 3) I can go to the Apple Store for FREE training on how to use the mac. 4) Free software updates. Even the iOS updates are free. 5) For less than $10 I have an adapter that has a plug and USB port for my external drives. Or you can spend more and get the one that David recommends. I’ve had my Macbook for several years now, and it still runs perfectly. I’ve never had a PC last me that long without having some sort of problem. You get what you pay for. And I will ALWAYS pay for a Mac. Tech reviewers’ idea of quiet isn’t quiet enough for VO work, usually. If that iMac Pro has fans, it will add to your noise floor, no matter how gently they kick in. HI VO2GOGO group. I do have a MACBOOK PRO from 2012, that works fantastic. Now that I am hearing the pros of the MACBOOK solo, do I need to change? I have had no issues (that I am aware of) and would like to continue the use of the machine until the end of its life. Thoughts, opinions or advice (for max output! Michael, as a VO2GoGo Pro member, you might also want to post this in the private ProConnect Facebook group. They’ll have some things to say about it.